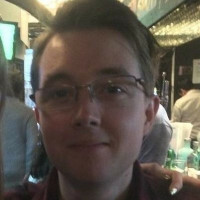 Thomas Hoeksema has been on Roblox since 2008, first as a player, then as a hobbyist developer, and finally as a professional developer. In recent years Hoeksema has been involved with Roblox in a number of ways including: creating and publishing games on Roblox, mentoring other developers through the Roblox developer forum, QA management on the Roblox platform, and collaborating with other developers from around the world to create event games like Egg Hunt and the Ready Player One Quest on Roblox. 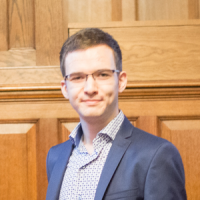 Hoeksema is studying computer science at the University of Groningen and is in the final year of a master’s degree program focusing specifically on software engineering and distributed systems. The Roblox platform has exploded over the last few years with game creation skyrocketing and developers earning real money for their creations. This interview will be with Roblox developer, Thomas Hoeksema, who has successfully created multiple games on Roblox. Hoeksema will offer insight into his entrepreneurial experience in creating a virtual studio that leverages expertise from developers located around the world to create successful games on the Roblox platform. Roblox is unique, as it puts the ultimate success in the hands of the developer. Ultimately, does Hoeksema see Roblox as a stepping stone to other opportunities in the game creation world or is the Roblox platform itself an opportunity to build a formidable and successful career? Find out!